SANTIAGO High School students display the “Parachutes for the Planet” piece they created which will be displayed on the National Mall in July (GGUSD photo). Students from Santiago High School in the Garden Grove Unified School District recently participated in “Parachutes for the Planet,” a national movement that invites students to come together and use their artistic talents to express concern for protecting our natural environment. 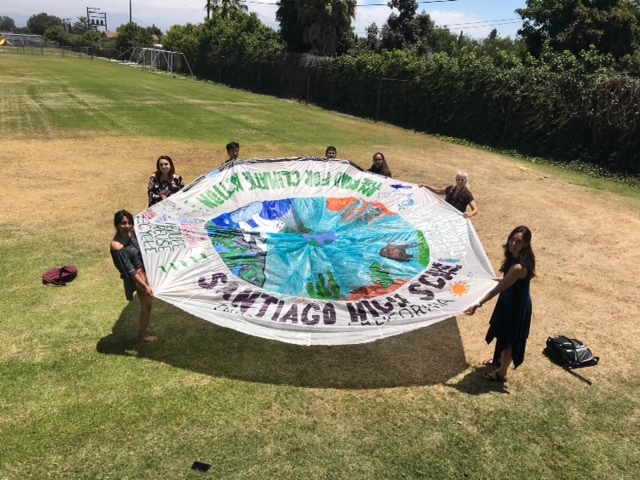 The parachute created by students in Santiago High School’s Sustainability Council will be displayed at the Zero Hour Youth Climate March on the National Mall in Washington, D.C., July 19-21. This project was put in motion after Earth Day this year, when SHS’s Student Sustainability Council (SSC) joined the movement along with students from across the country. Through the generous donation of High Energy Sports in Anaheim, SSC received an actual parachute and over the remainder of the 2018 school year, students worked on a design, sketch and ultimately painted their vision onto the parachute. 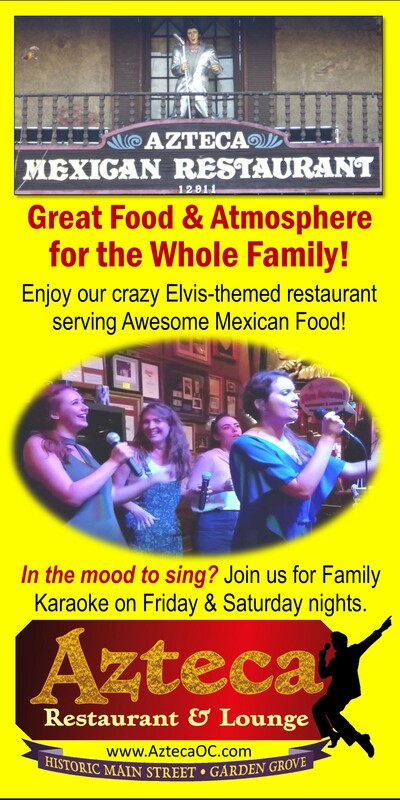 Their theme showcases a journey through the U.S. from the frozen tundra of the Arctic to the fall colors of New England’s forests. After its debut on the National Mall, the parachute will travel across the nation through 16 states with “On the Road for Climate Action.” It will then be returned to Washington, D.C. to be​ exhibited as part of the Mother Earth Project’s Parachutes for the Planet World Inaugural Exhibition in Georgetown National Waterfront Park, October 13-14.